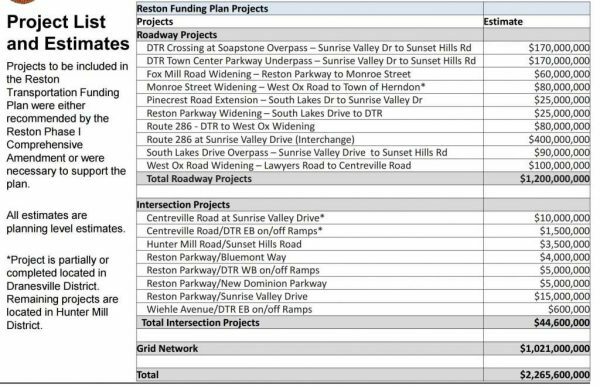 The Reston advisory group looking at ways to raise $2.6 billion to fund Reston road improvements over the next 40 years says it is strongly opposed to a special tax district for new development in Reston’s transit station areas. The Reston Network Analysis Advisory Group (RNAG) last month approved a document containing high level feedback on the funding plan. It will provide an update to the Fairfax County Board of Supervisors’ Transportation Committee on Tuesday. 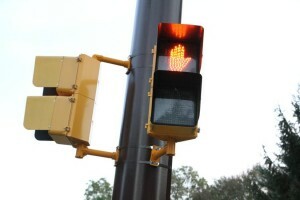 Public revenues should be responsible for the roadway improvements and private revenues would be responsible for intersection and grid improvements. Tax Districts should be removed from further discussion — there is unanimity from the group that a tax district is unrealistic and should be taken off the table. The transit areas are expected to see the greatest level of development — and will need the most street grid, lane additions and traffic signals, among other improvements — as Reston grows over the next three decades. FCDOT’s Janet Nguyen has said $1.34 billion in transportation projects will likely come from shared public and private contributions. That money would go for road widening, intersection improvements, the Soapstone overpass, and an Dulles Toll Road underpass near Reston Town Center, among other projects. The $1.28 billion grid network in the transit station areas — which the RNAG is currently studying — would mostly be funded by developers (and a possible service district, not a special tax district. A service district is imposed by the Board of Supervisors on a geographic area.). An urban grid is important to improve walkability and slow traffic, transportation officials say. The county and RNAG have been looking at a variety of scenarios to fund the projects. Among the suggestions has been creating a tax district similar to the Metro special tax district or a service district, similar to Tysons (rate is .05 cents per $100 of tax assessment). A service district is established by the Board of Supervisors and does not need to be approved by residents. The Board of Supervisors hopes to approve a funding plan by late 2016 or early 2017. See the Tuesday presentation prepared by FCDOT on the Fairfax County website. See a list of expected big-ticket Reston road projects below.